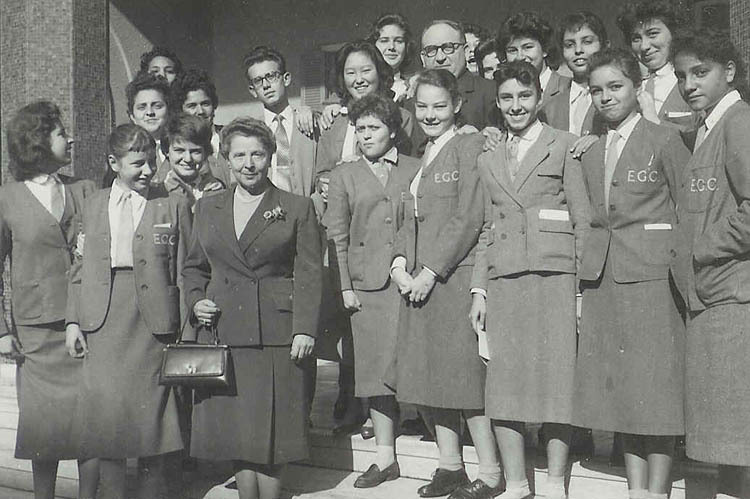 Back row, from l > r : Nabila Hosni, Ossama Abdel-Rassoul, Cherifa Sakr, Aliki Syllaidis, Inass Said, Dr. Roberts, Katherine Han, Guizida (Bonnie) Atif, ? ?, Jenny Zouroutis, Amal Sedky. Middle row, from f > r : Sonia Adomian , ? ?, Colette Barcilon, ??. 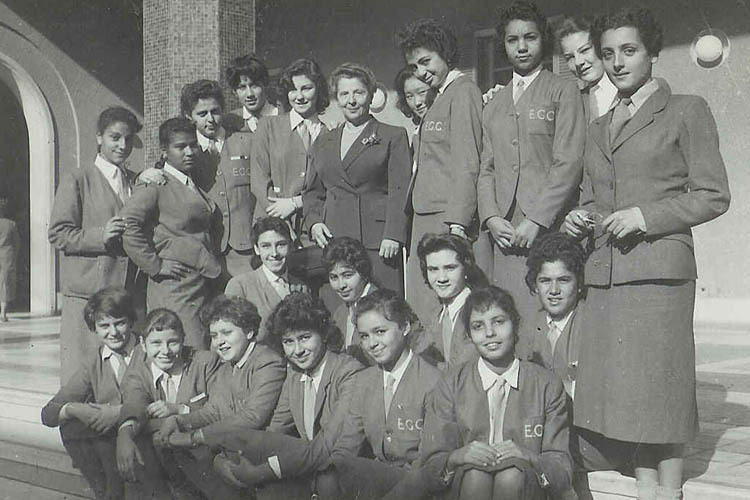 Front row, from l < r : Argine Klonaris, Geilan (Jill) Kamel, Manuela Suares , Frieda Schmidt , Nadya el Saifi, Mona Abdel Hadi.